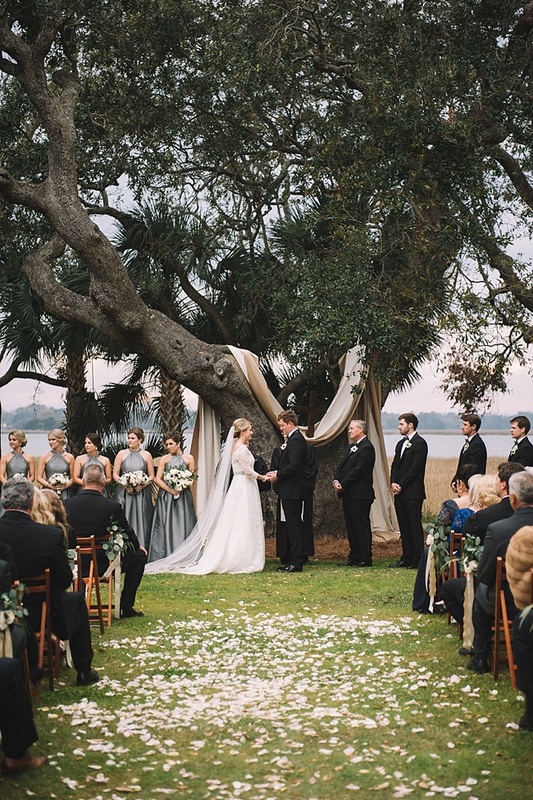 Now, how’s that for a breathtaking shot? 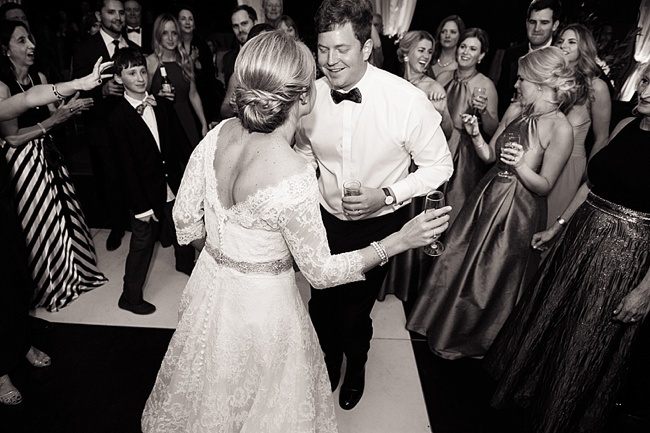 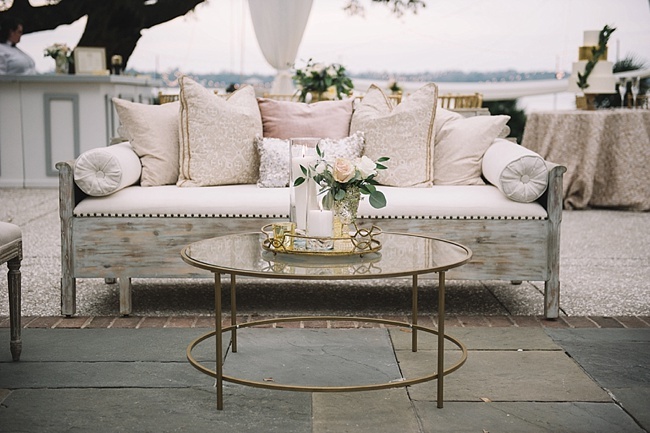 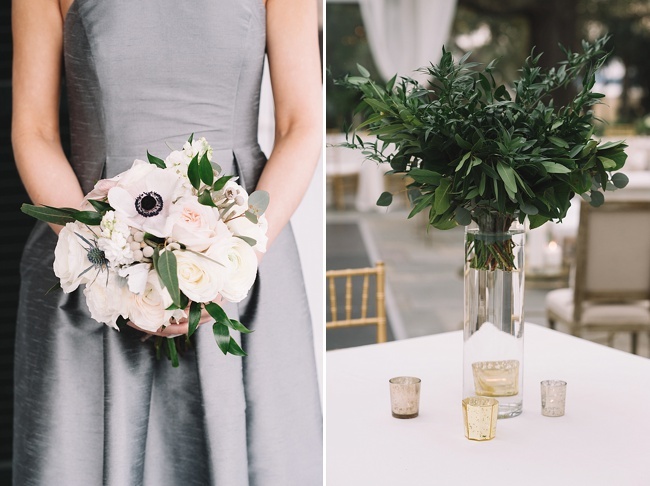 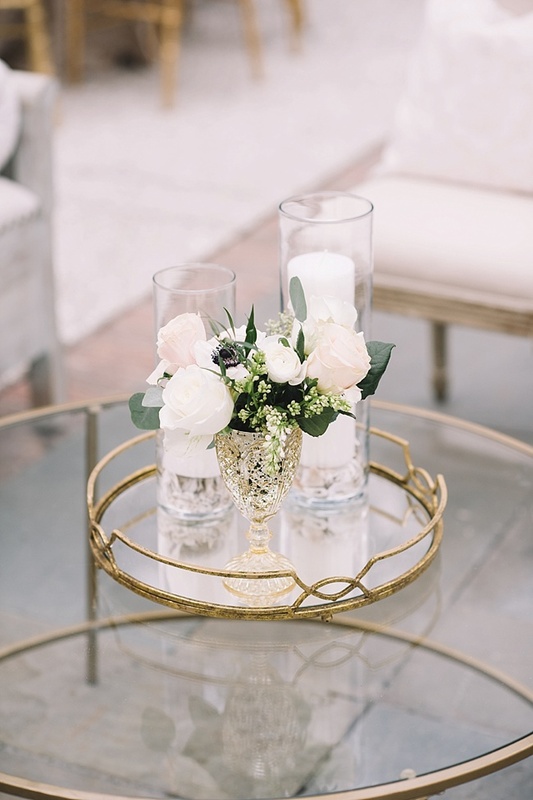 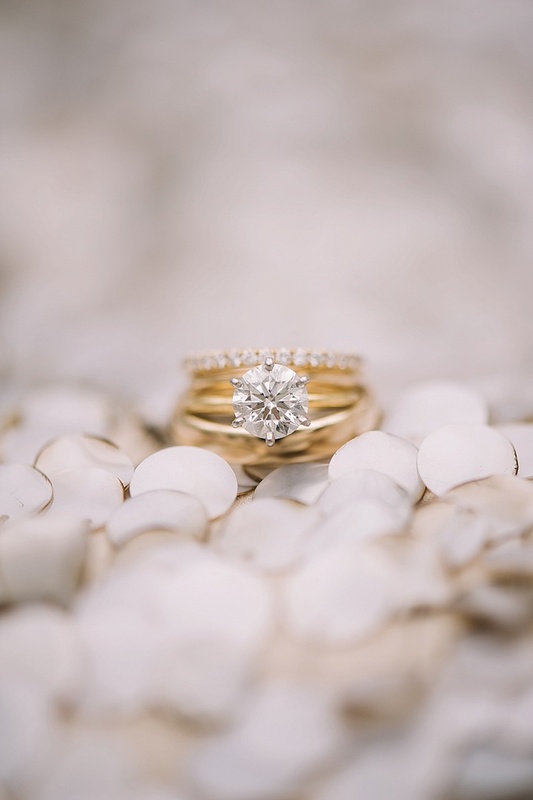 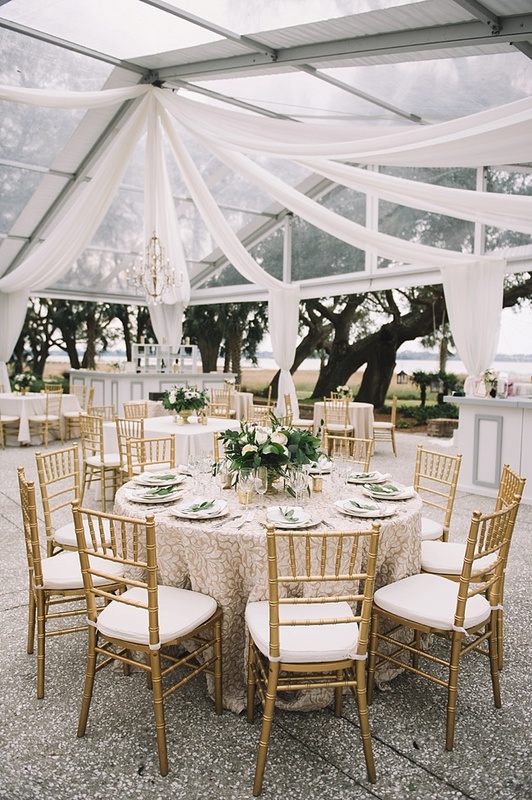 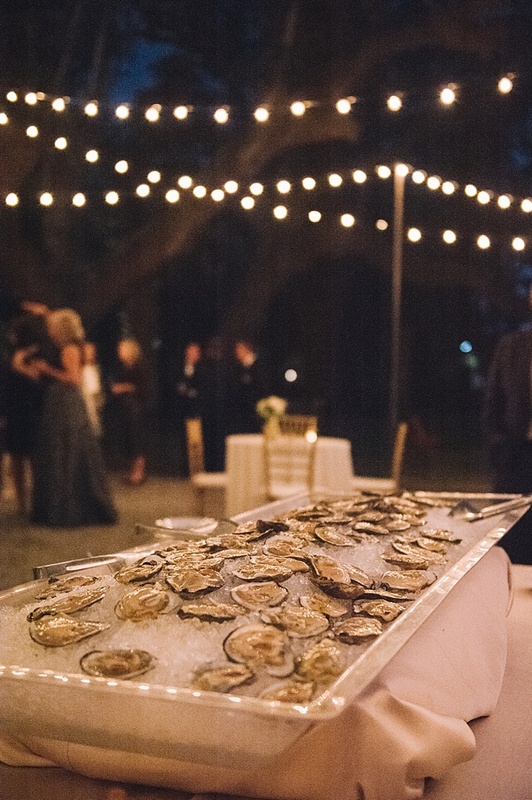 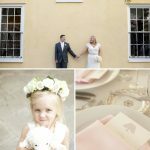 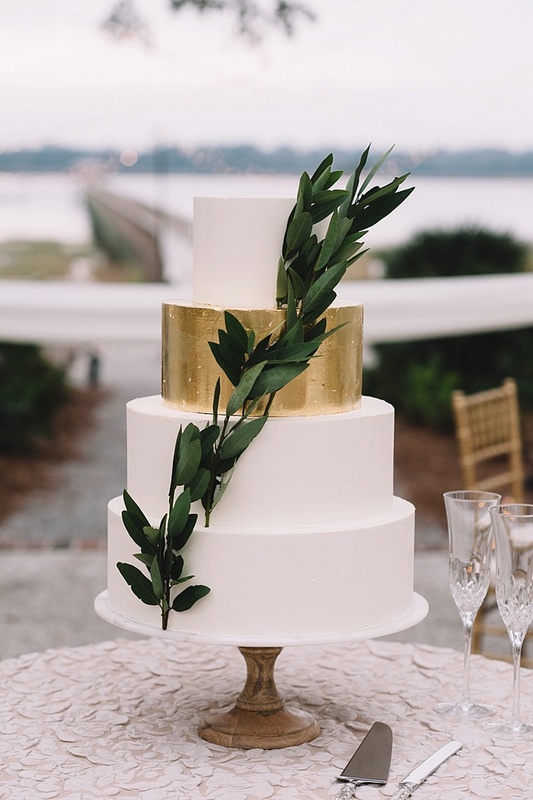 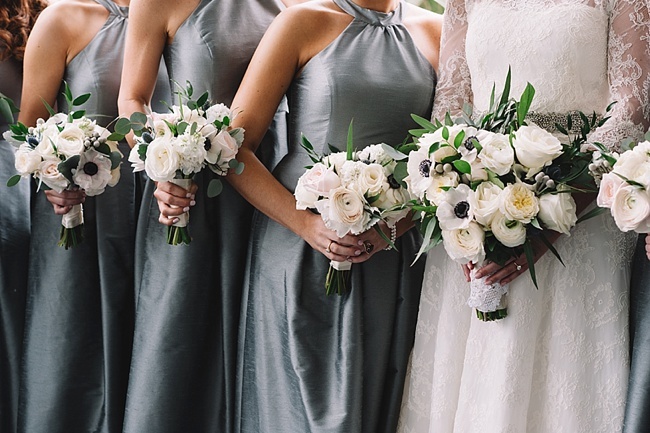 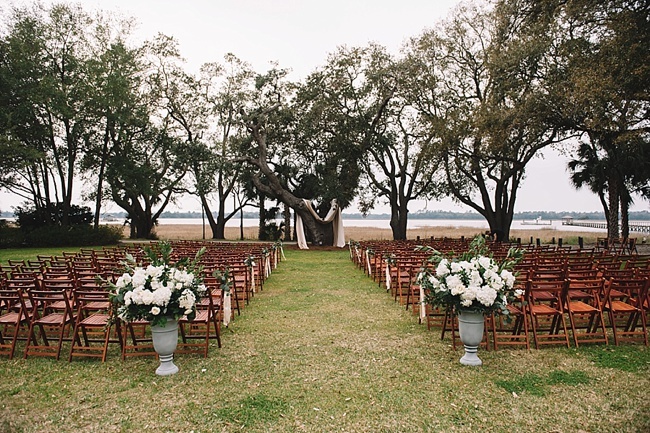 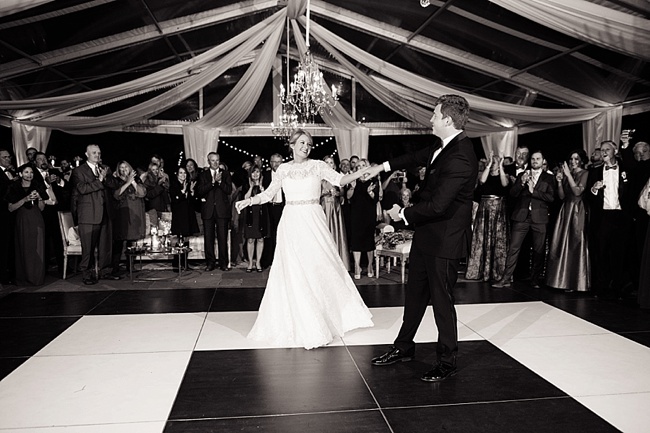 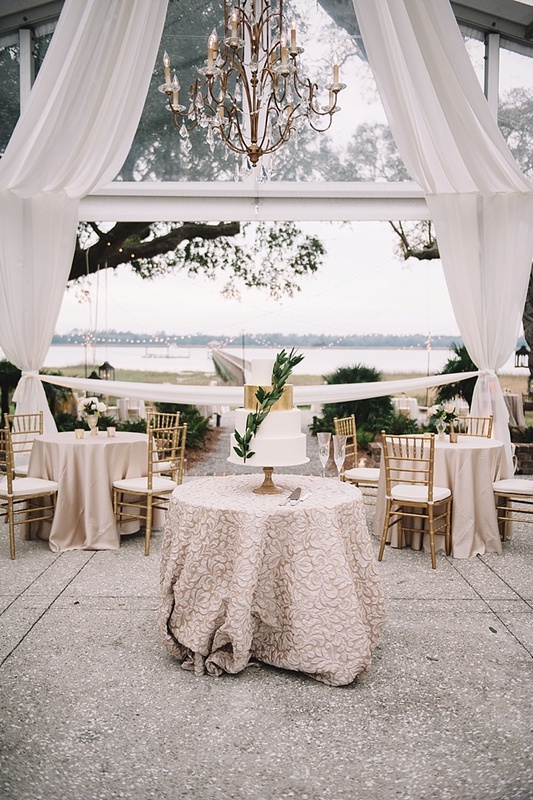 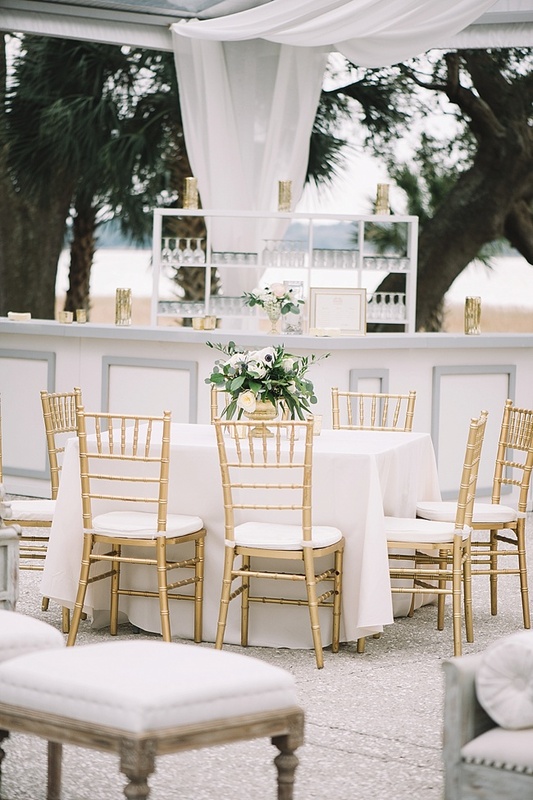 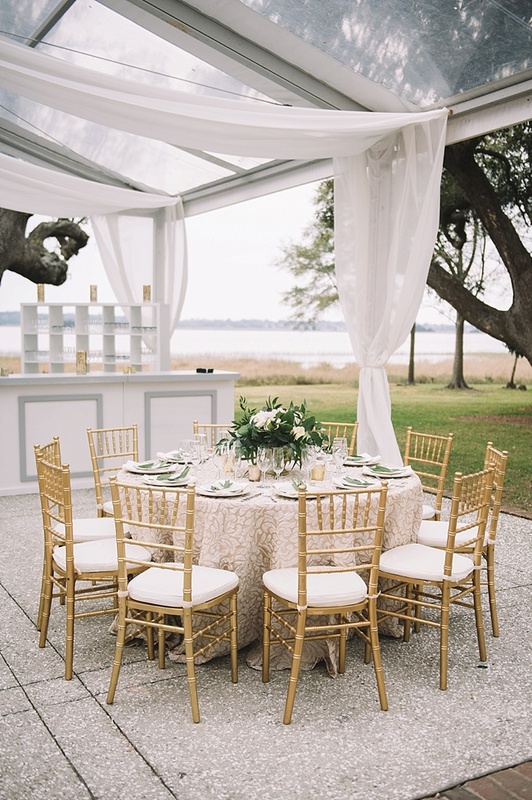 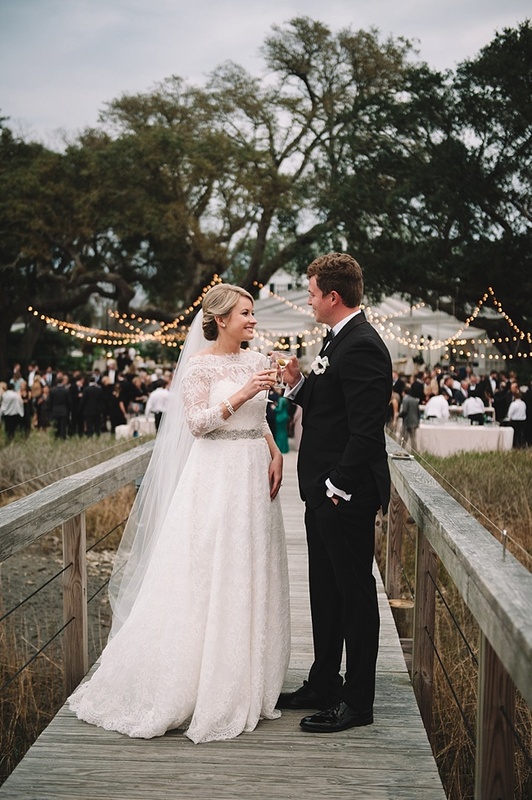 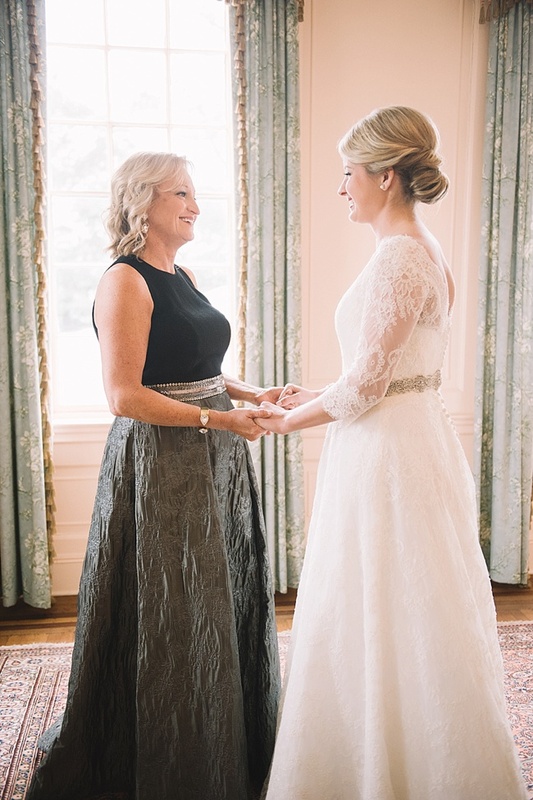 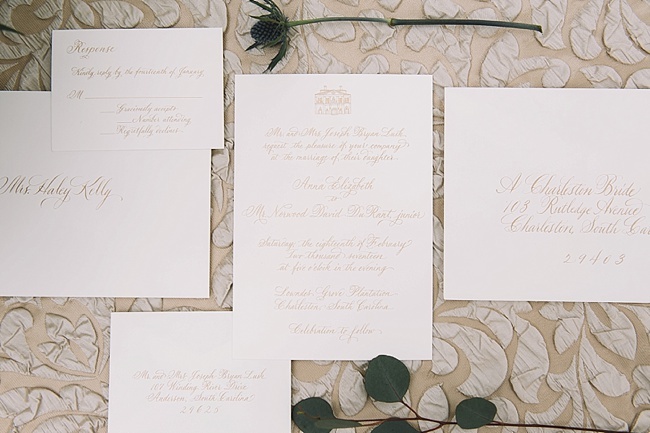 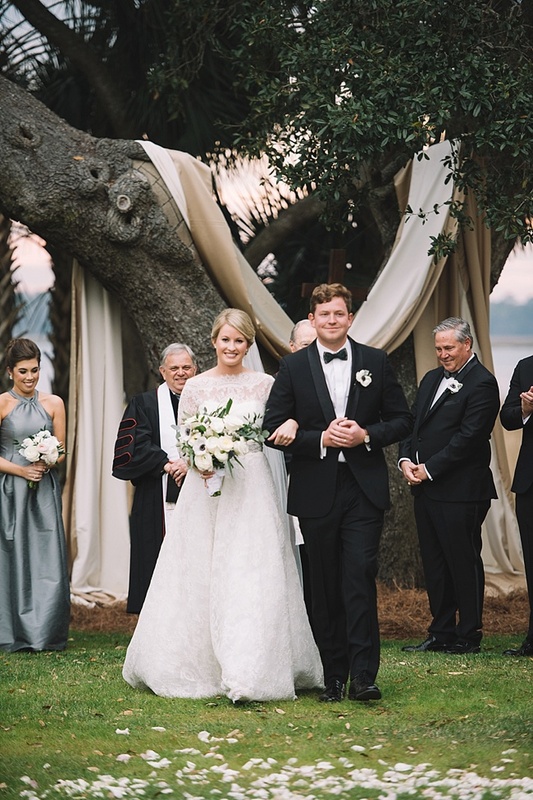 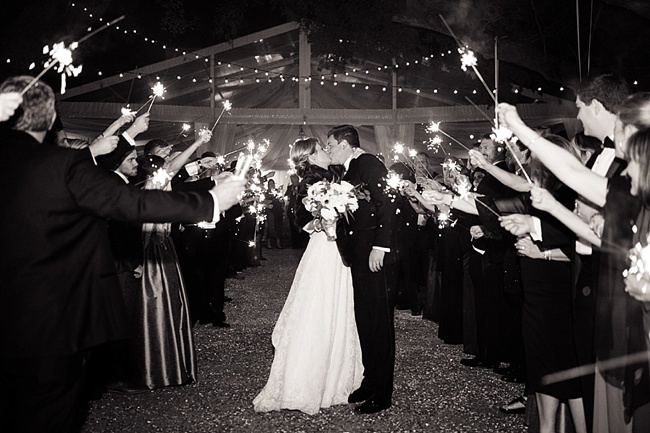 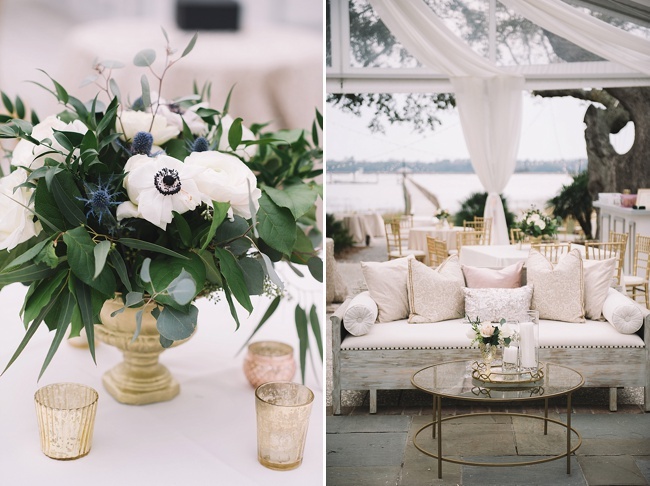 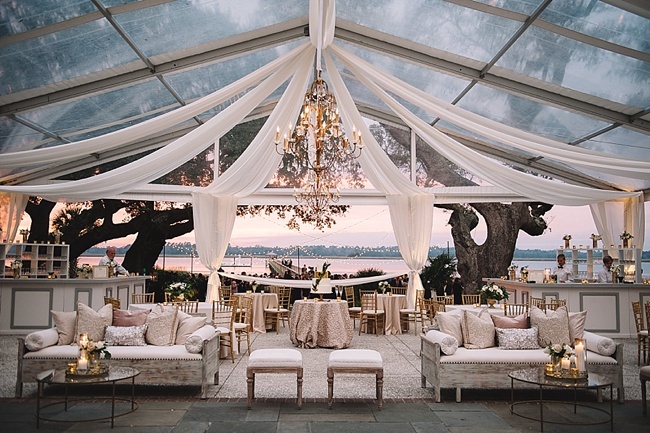 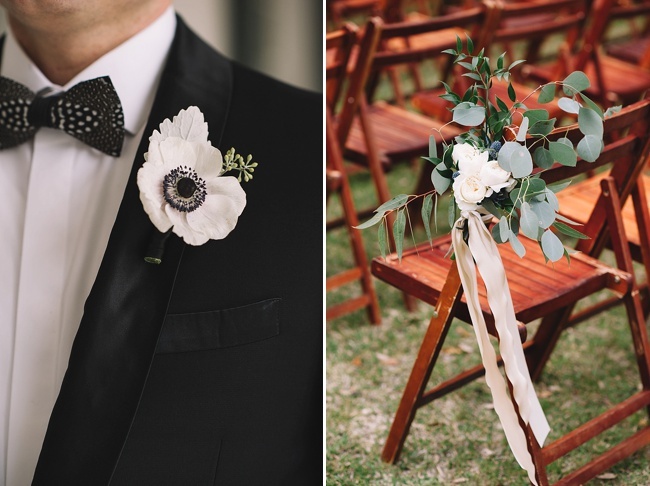 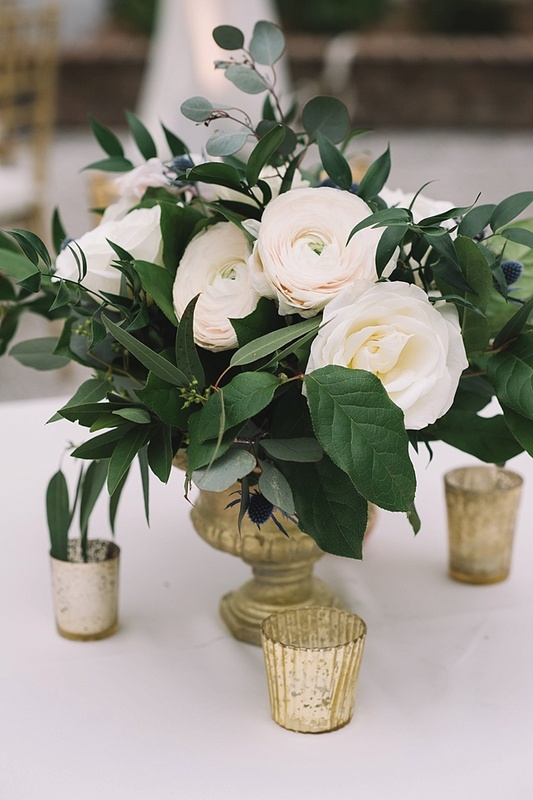 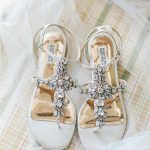 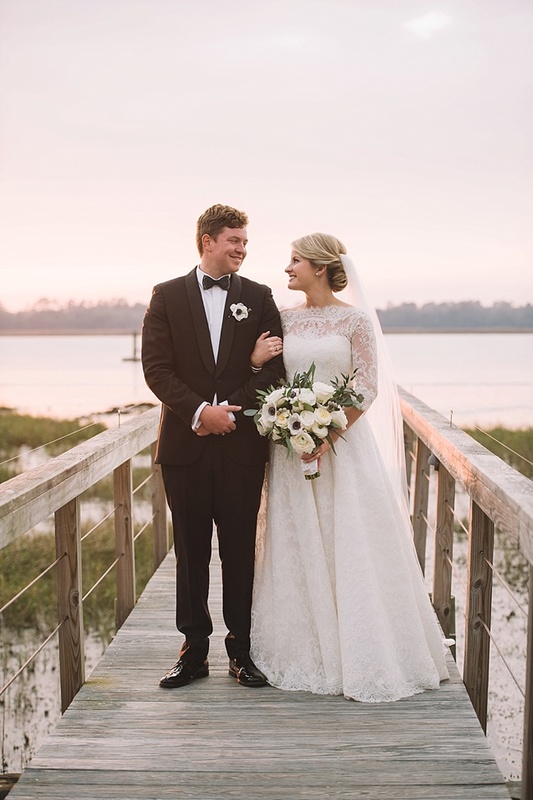 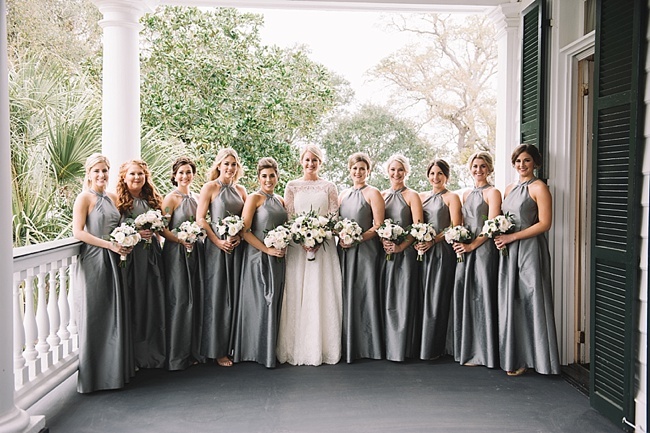 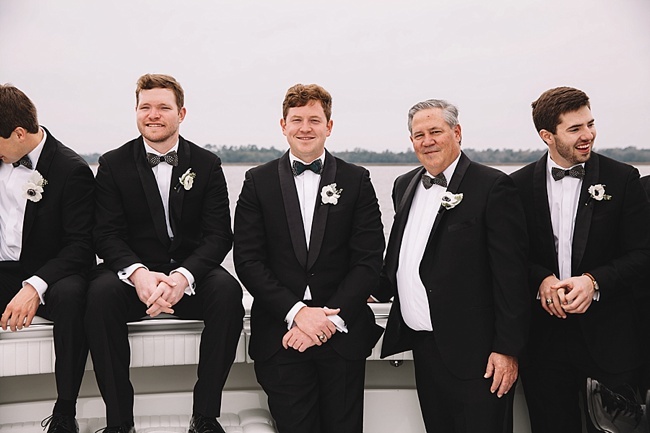 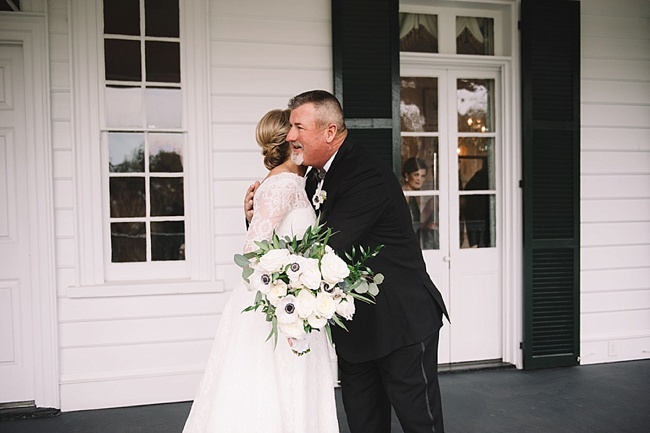 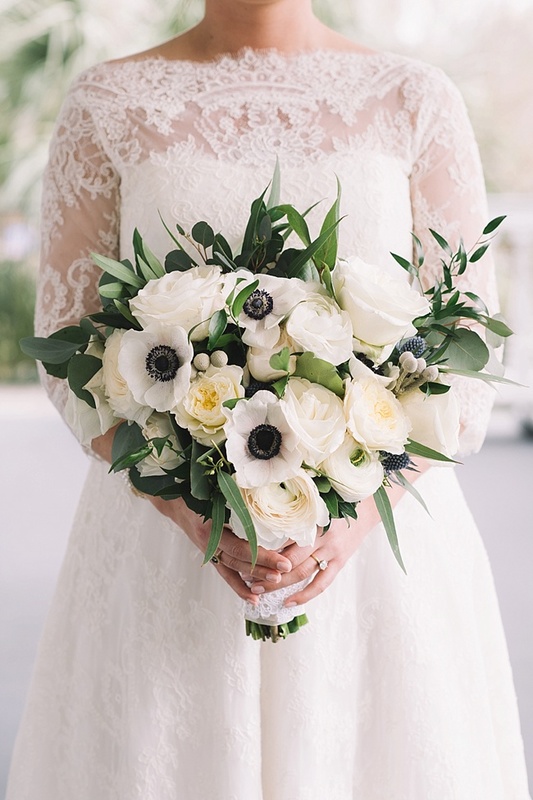 This pair of South Carolina natives teamed with the make-it-so mavens at A Charleston Bride and fantastic florist Stephanie Gibbs Events for an uber-elegant winter wedding downtown at Lowndes Grove. 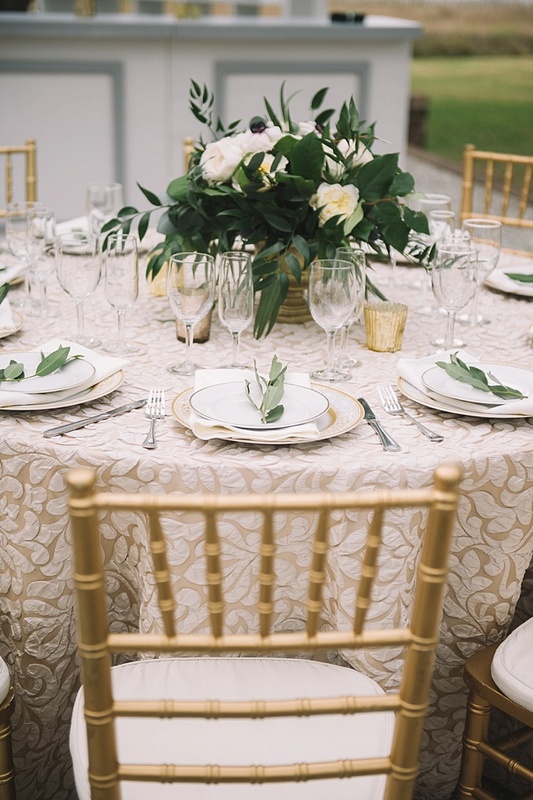 From fresh white bouquets of garden roses, anemones, ranunculus, and greenery to the bridesmaid’s slate silk gowns, the tablescapes champagne hued linens, blushing lounge areas, and chandeliers, to that that gilded cake draped in olive leaves by Patrick Properties Hospitality Group Pastry Chef Jessica Grossman—holy, gorgeous. 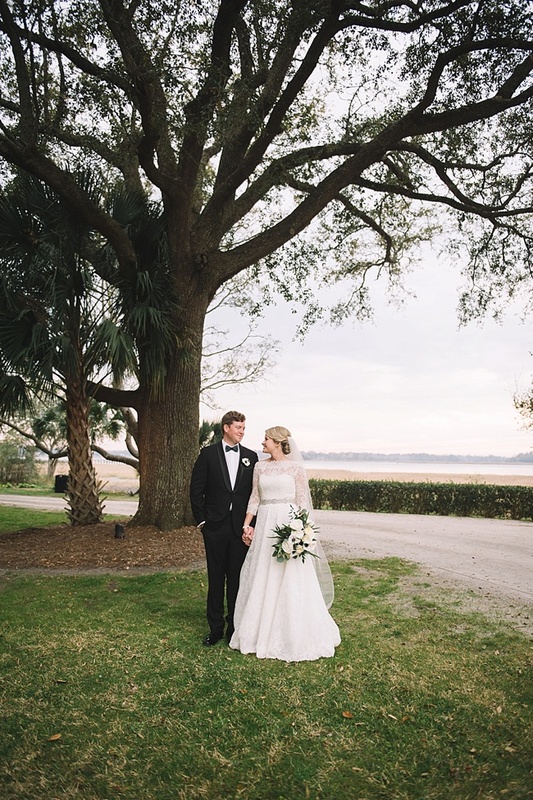 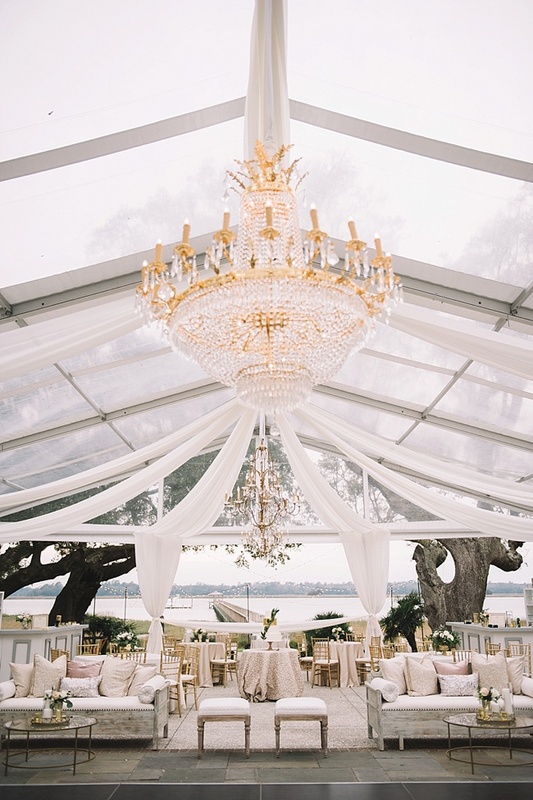 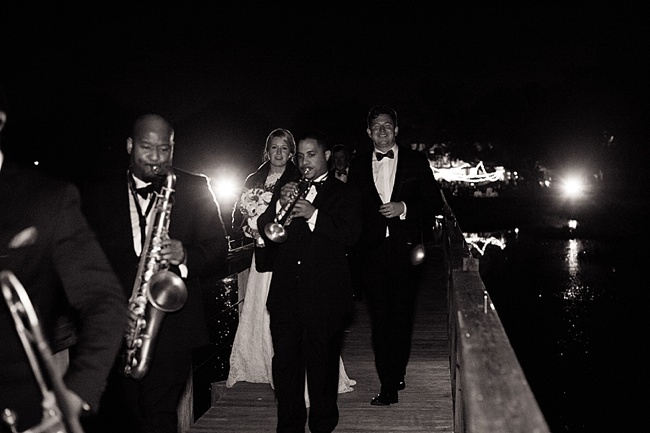 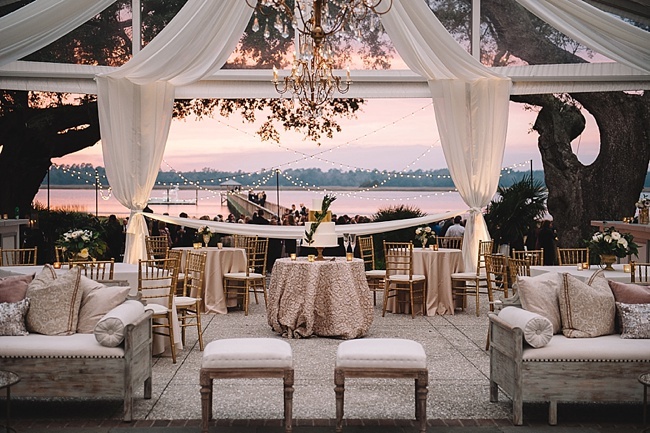 Top all of this prettiness off with thoughtful details like boiled peanuts at cocktail hour (what Woody used to propose to Anna with), Anna’s mother’s wedding gown lace wrapped around her bouquet, and a horn procession leading the Mr. & Mrs. to their getaway boat and we’re head over heels for this Charleston soirée.